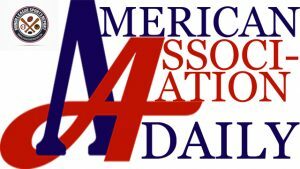 In American Association Daily, Robert Pannier begins a weekly series looking back at the 2018 American Association season. This week, Rob starts with the Texas AirHogs, discussing the team’s highlights as well as what to expect for the upcoming season. Also included in the article is a look at the team’s MVP and top pitcher as well as statistical leaders. The Texas AirHogs made news long before the season even began when it was announced that players from the Chinese National Team would be joining the AirHogs this season. The AirHogs were tasked with helping to develop 30 players in hopes of making the Chinese team more competitive for the 2024 Olympics in Paris. The three year deal gave the team $2 million per year, but the AirHogs found themselves in a bit of a controversy when it was revealed that Texas would be allowed to rotate the Chinese players on a nightly basis if they so desired. American Association rules dictate that a player must pass through waivers and must be off the active roster for seven days before he can be re-signed by the team. However, the Texas AirHogs would be allowed to rotate the Chinese players at will. The non-Chinese players on the team were still required to meet all league rules. Despite this hiccup, the season got started with minimal expectations for Texas. The South was the toughest division in the American Association and they were playing with a lot of players who had only four or five years of experience even playing the sport. The results were as to be expected. The Texas AirHogs finished May 2-11, with a victory over the Fargo-Moorhead RedHawks in the third game of the season, and a month ending victory over the North Division winning St. Paul Saints to avoid being swept. In between those two wins came nine straight losses as the team gave up 82 runs. They did record their first shutout of the season in the victory over the RedHawks. That came courtesy of a combined three hitter by Matzek, Conor Costello, and Wright. Costello earned the victory and Wright the save as Casio Grider knocked in the only run of the game. The AirHogs were scheduled for 27 games in June, but two rain delays moved those contests to July. Texas went 6-19 in June, but reached several season milestones. They would win their first series when they took two of three in Sioux Falls and, thanks to a rain out in between, the team would win back-to-back games for the first time when they defeated the Chicago Dogs on June 20 before defeating the Canaries on June 22. The AirHogs would win three of four games from June 20-24. The team also showed a lot of moxie as six of their first eight victories were in one run games. In July, Texas reached double-digits for wins, going 10-19, which included a three game winning streak (July 7-9). The team won four more one-run games and they set a season high mark for runs scored in a game when they battered the St. Paul Saints for 14 runs in a 14-9 victory. That came courtesy of two doubles and two homeruns from Dillon Thomas, who drove in four and scored four. August was a very tough month for the AirHogs, as they went 7-23. The team had shown a lot of improvement in July, but the vast majority of the 30 Chinese members who had been with the team since the start of the season departed in early August, as did Manager John McLaren, to play in the Asia Games. Adding to the woes was the fact that the team’s best player, Thomas, had his contract purchased by the Milwaukee Brewers. The play on the field suffered, as the team suffered through a nine game losing streak, they were swept four times, and did not win a series in August. That continued into September where they would lose the final three games of the regular season. The truth is, nothing really went wrong with this team. They were expected to struggle as they developed these young players and they did struggle, but they also saw a lot of improvement as the season went along. The team finished last in virtually every category, however, one must consider that these were players who had never faced professional talent of this caliber. It was expected they would lose and they did, but they did not embarrass themselves in any way. Of their 25 wins, 12 were in one run affairs and they were involved in two 1-0 games, one of which they lost only because the opposing team threw a no-hitter. The one area that was a disappointment was in promotions. With a huge financial payout for the team, there was little done to promote the team. The AirHogs claimed an average attendance of 1,670 fans per game, but there were far too many nights where the number of fans could be counted from the pressbox. The team has a great ballpark, in a huge metropolitan area, and the team was a lot of fun to watch. More needs to be done to double attendance for next season. It starts with the impressive play of Dillon Thomas. With virtually no protection in the lineup, the slugger hit .333 in 80 games with 13 homers, 37 doubles (1st in the American Association), 56 runs scored, 54 RBI and 14 stolen bases. Every team in the league tried to trade for him, but McLaren was unwilling to depart with Thomas because of how much of an influence he was having on the young Chinese players. He was having an MVP season before signing with the Brewers. The team improved greatly as the season went along. The Chinese players really developed under the tutelage of the coaching staff, especially some of their young hitters. Luan Chenchen finished with hits in 10 of his last 11 games and had five two-hit games. Chu Fujia was hitting around .270 for much of the season, until the rigors of a long season cost him about 25 points off his batting average. What was most important of all is that, despite the struggles, the Chinese players always looked like they were having fun. Baseball is a merciless sport, especially psychologically, and the frustration level can be overwhelming. However, players will often say that they are getting to play a kid’s game for a living and that is how the players from China acted. They were having fun and enjoying every minute of being on the field. With enthusiasm like that, there is no doubt that this team should see dramatic improvements next season. We have extolled the accolades of Dillon Thomas in this article quite a bit, but there is not enough that can be said about the job he did this year. Not only did he lead the team in every major offensive category, but his batting average was 54 points higher than anyone else’s on the team and he led the AirHogs in RBI despite being gone for the final three weeks of the season. He was the American Association MVP until his contract was purchased. On a team that won only 25 games, saving 14 of them is a pretty big deal. When you consider that the team won 12 of those games by a single run, then the job of a closer is even more important. Contreras has a sensational year in Texas, posting a 1.52 ERA in 24 appearances with 14 saves. He struck out 31 in 23.2 innings pitched, walking only 6 while allowing 14 hits. He could be a big factor in the team’s success in 2018. With two more years on this contract, the Chinese players will be around for a while. That is going to give this group of young men the opportunity to develop and turn a 25 win team into what could easily be a 38 or 39 win team next year. With the addition of a few quality starting pitchers and that number could jump even higher, especially with Contreras manning the back end of the bullpen. It is all going to be a matter of how well they develop, and Manager John McLaren and his staff clearly know how to improve this team.